Eggtivate is a small, clever gadget by Troika for the bedside table, which during the day features a simple design and a handy function during the night. 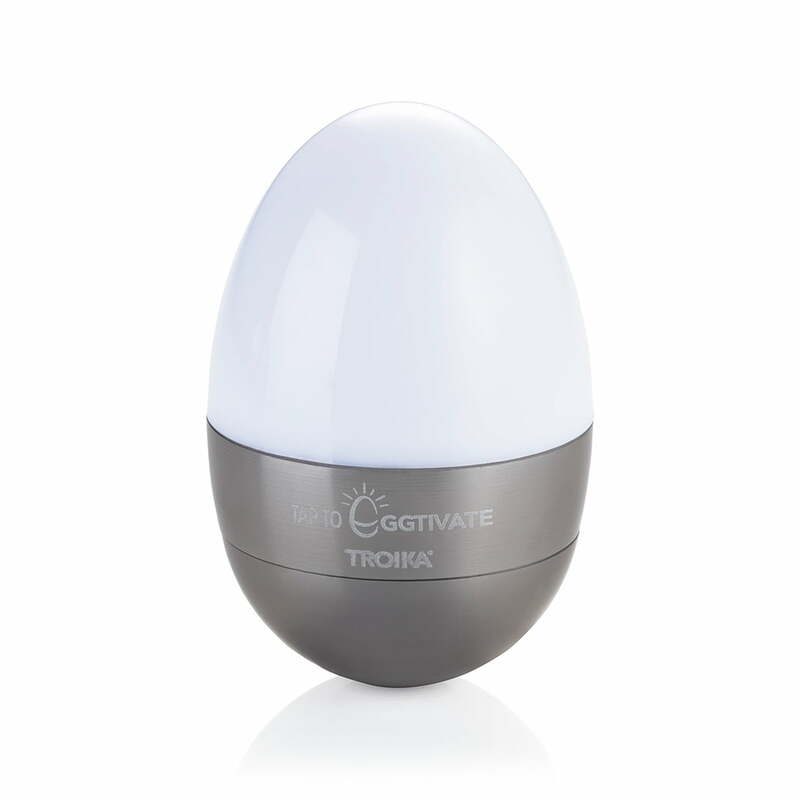 Once tapping the Eggtivate slightly on the ground, the soft, warm LED light switches on, thanks to its shock sensor. This way, you don’t need to switch on the bright ceiling light at night, which is considerably more pleasant for the eyes and the rest of the night. 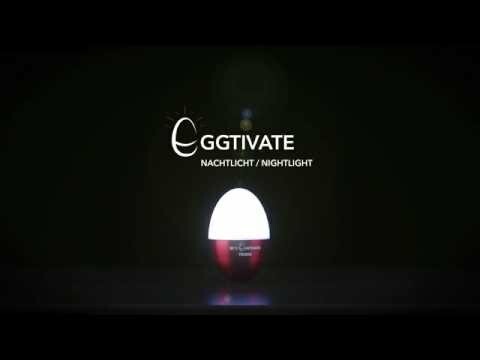 After six minutes, Eggtivate switches off again automatically. Or sooner, if the night light is slightly tapped on the ground again before. The night light in egg form is made of metal in various colours and polycarbonate. 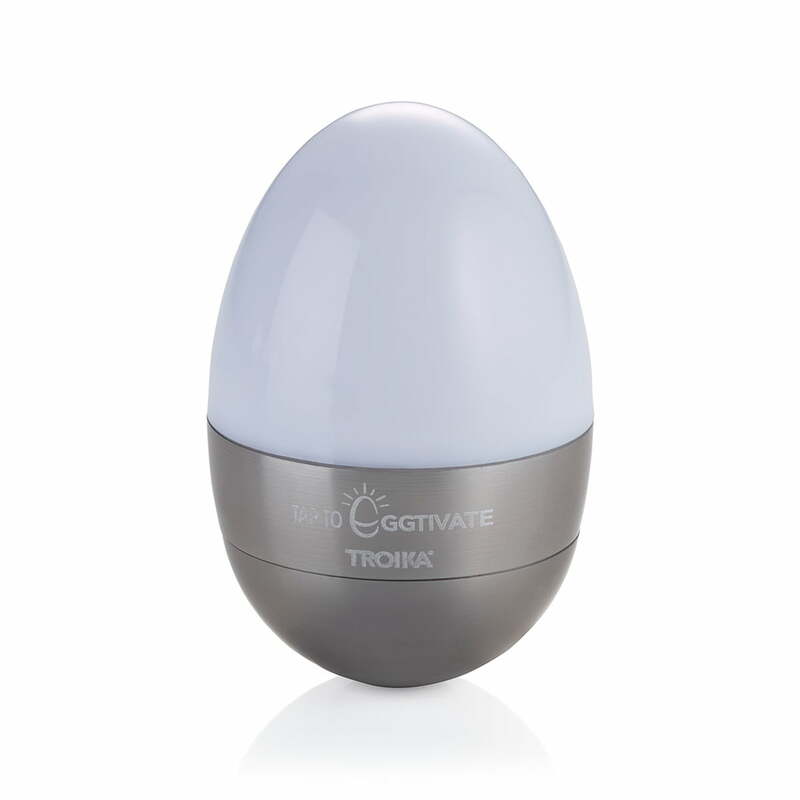 Once tapping the Eggtivate by the manufacturer Troika slightly on the ground, the soft, warm LED light is switched on, thanks to its sensitive shock sensor. The Eggtivate desk and night light designed by Troika in silver is made of metal in various colours and polycarbonate and is the best gadget in the night.